Pinon attended the University of Miami for both his medical degree and his urological training. He has been the assistant chief of surgery and chief of urology at South Miami Baptist Hospital. He has been involved in the clinical research studies at the Urology center. Dr. Pinon was one of the early pioneers in robotic surgery and has a wealth of experience in this technique for both prostate cancer and kidney surgery. Dr. Pinon is one of the more innovative urologists in South Florida. Martin L. Madorsky, M.D., F.A.C.S. Dr. Madorsky attended the University of Florida for both his medical degree and his urological training. He is past chief of urology at both South Miami Hospital and Baptist Hospital of Miami, past president of the Greater Miami Urological Society, and founder of the Kidney Stone Center of South Florida. He has been involved in numerous clinical experimental studies. Dr. Madorsky is a general urologist with extensive experience in the treatment of kidney stones, enlargement of the prostate and cancer of the prostate. Dr. Bruck attended the Sackler School of Medicine in Tel Aviv, Israel and completed his Urology training at the University of Miami. Dr. Bruck joined our group in 2005 and has been instrumental in incorporating minimally invasive surgery into our practice. He has extensive experience in laparoscopic and robotic surgery. Dr. Bruck takes a very holistic approach with his patients and uses some of the latest therapies in hormonal and sexual medicine, including treatment of Peyronie’s Disease. He is also certified as a medical cannabis physician and offers compassionate care treatment. 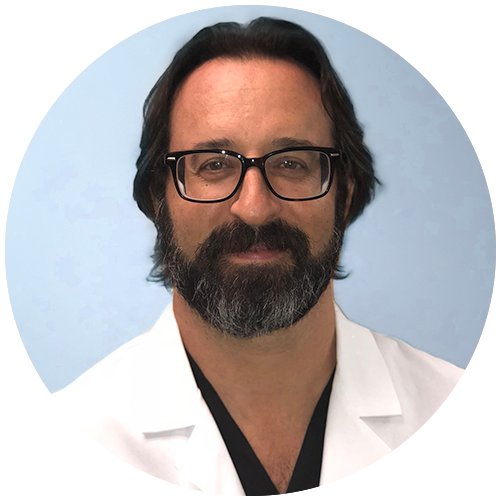 Dr. Mennie attended Ponce School of Medicine in Ponce, Puerto Rico, where he was elected member of the prestigious Alpha Omega Alpha Medical Honor Society. He completed his training at the University of South Florida before joining the team at Urology Center of South Florida. Dr. Mennie offers robotic and minimally invasive surgical techniques for a variety of conditions. He also has a focus in Men’s Health and Sexual Medicine. Dr. Mennie reads, writes and speaks fluent Spanish. 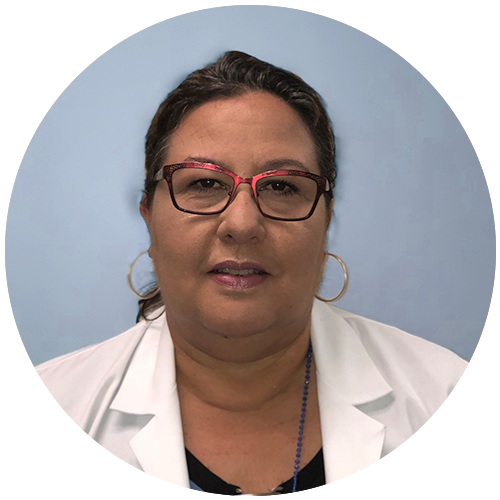 Natacha Uguet, M.S.N., A.R.N.P, N.P-C., S.A.-C.
Dr. Uguet received her Doctor in Medicine and Specialist in General Surgery from the University of Havana, School of Medicine before receiving her Bachelor of Science in Nursing and Master of Science in Nursing degrees from Florida International University. 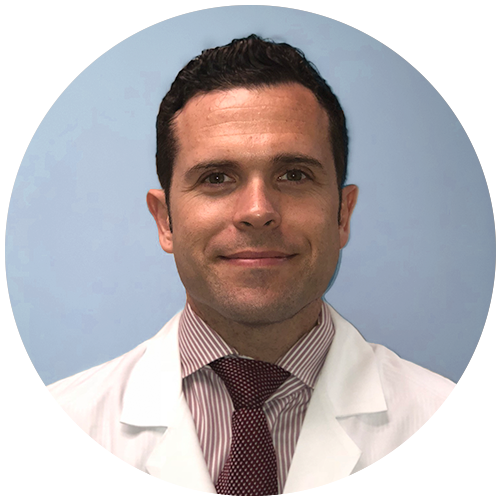 Dr. Uguet joined the Urology Center of South Florida in 2013 as its Advanced Registered Nurse Practitioner. Dr. Uguet reads, writes and speaks fluent Spanish.